WE ARE NO LONGER UPDATING THIS SITE. Visitors since 6-2012: View Harbinger site stats here. THP is an information site to identify the parallels between the warnings God gave ancient Israel because of their sin and similar warning signs God may be giving America because of its declining moral condition and tolerance of sin. Click the button below to read the facts yourself. The people of Israel received warnings from God to turn from their sin. If they did not, God would bring judgment on the nation. America may be getting these same warnings of impending judgment from God. You decide as you examine the nine harbingers signs and see for yourself if America is on the verge of judgment. 10 "The bricks have fallen down, but we will rebuild with dressed stone; the fig trees have been felled, but we will replace them with cedars." 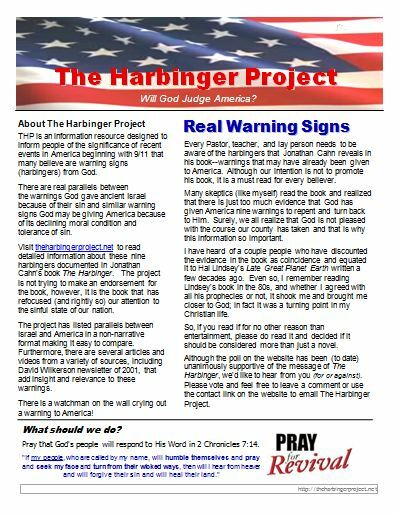 The purpose of The Harbinger Project is to alert everyone, so people will realize that God is serious about the sins of our nation, and if we refuse to repent and turn back to God, He will bring judgment upon our country, for He is both a righteous and just God. turn from their wicked ways, then will I hear from heaven and will forgive their sin and will heal their land." Investigate the Bible for yourself to see Israel's cycle of apostasy. 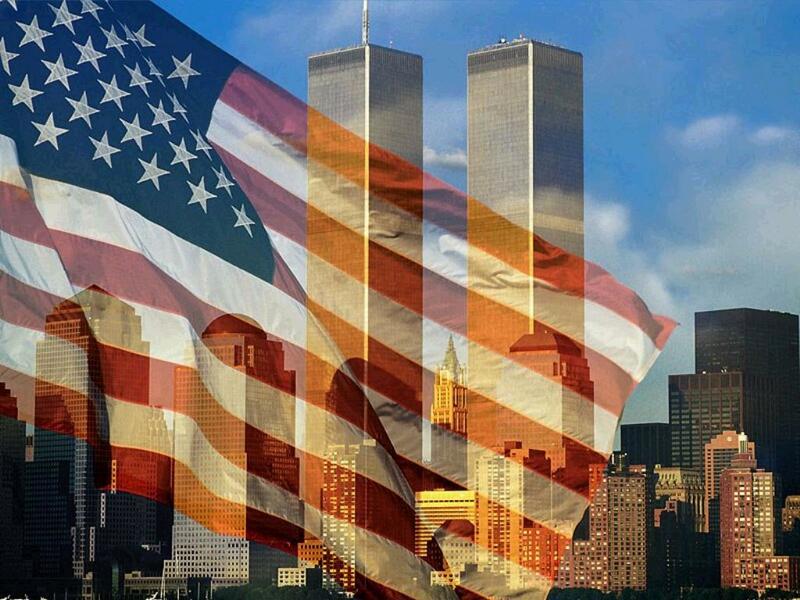 Then consider our roots; the beginning of our nation, and ask yourself, is America any different. Israel (and America) walked with God for a time. Then they began to depart from God's ways. God called them to return to Him. If they returned, God would again bless them. But if they refused to turn back to Him and continued in their sin, God would bring destruction on them. As we consider what is taking place in our nation, MANY believe we are at the point to turn from sin or be judged for it!